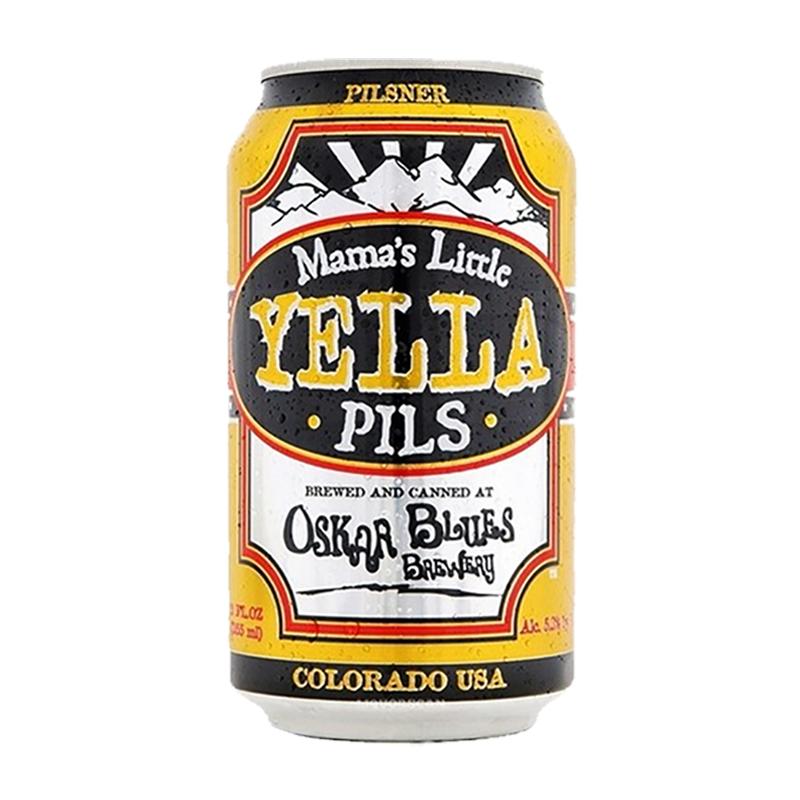 Oskar Blues' Mama's Little Yella Pils is an uncompromising, small-batch version of the beer that made Pilsen, Czech Republic, famous. Unlike mass market pilsners, diluted with corn and rice, Mama's Little Yella Pils is built with 100% pale malt, German speciality malts and Saaz hops. While it's rich with Czeched-out flavour, its gentle hopping and low ABV make it a luxurious but low-dose (by Oskar Blues standards) refresher.